Shirdi Sai Baba Stories,Leelas and Teachings. 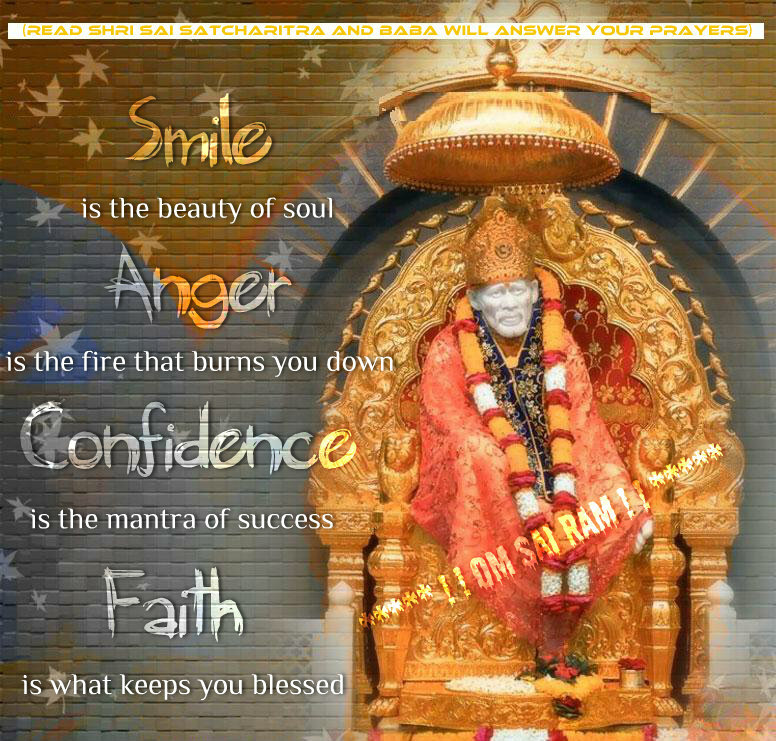 : Shirdi Sai Baba's Grace-Experience Of Sai Devotees-Part 27. 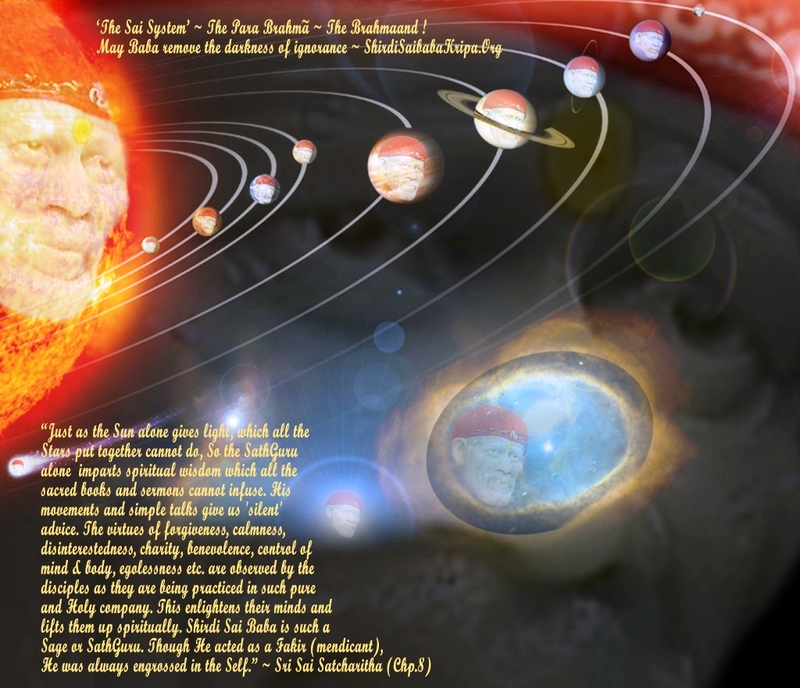 Shirdi Sai Baba's Grace-Experience Of Sai Devotees-Part 27. 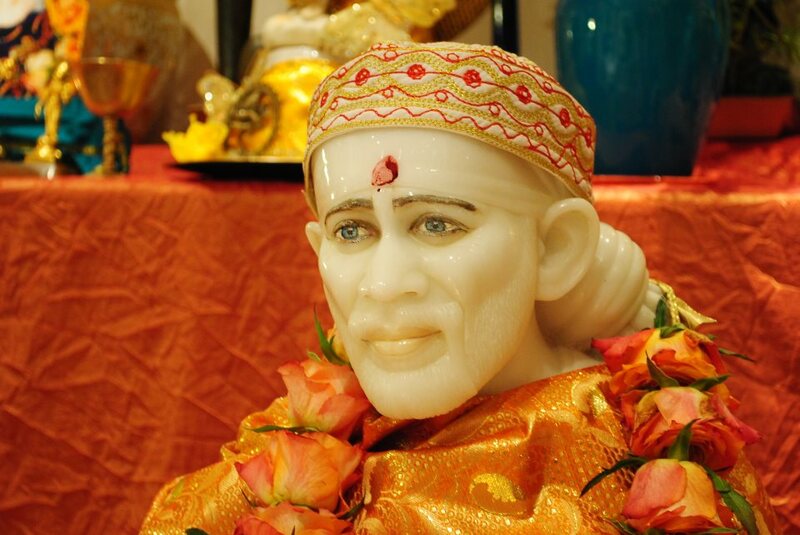 Baba's love is deep and vast like an ocean.Those who dive deep ,gather the pearl of His blessing .The only requisites for getting Baba's blessing are firm faith and patience.Every week we come across several instances of Baba's blessing by various devotees across the world. Some of these experiences are disseminated through this website.The uniqueness of these experiences is the love of Baba for His children which is manifested in different forms to different people at different places. I am sure that each experience shared through this platform gives assertive hope to many devotees and realises them that Baba will also bless them accordingly when the right time comes.All they need to do is keep their faith and devotion in Baba strong . Attached below are 4 experiences shared by devotees which affirm the above statement.Thanks to the devotee who has shared beautiful Baba's picture for the website attached above with beautiful message inspired through Baba. Jai Sai Ram . Happy baba's day to all. Reading Sai devotees experiences are energy boosters. We seek more of it from Baba to keep shoo away our worries. Manishaji whenever i read new experiences in your website, i understand that baba is giving answers to many devotees for their prayers and giving hope, faith to all. I must also say, i enjoy listening to new bhajan albums being updated in your Bhajans Site. Baba bless your family. I wish to share one more sweet leela by our beloved mother Sai. Please post the sweet looking Frankfurt baba photo attached herewith and also thanks for same photo which you shared in your bhajans site. 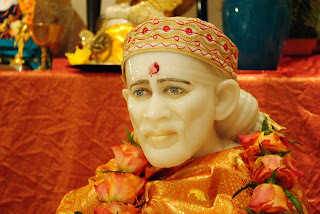 Photo above:Frankfurt Sai Baba Temple -Germany. On a thursday I went to shirdi sai temple nearby in the evening. After having His darshan, one unfamiliar Sai devotee advised me to do Dhuni pooja which is very powerful. He also advised me to offer Nava Dhaanya (nine variety of seeds which is available as a packet set in all pooja material shops to our budget) in the dhuni fire and said it will remove all dhoshaas, pitthru dhoshaas, obstacles, diseases etc. On that thursday, i collected the sweet rice prasad made in jaggery and came home. I was telling to my family members, when we get prasad from any temple be it baba's or any God's temple, the prasad generally do not have cashew nuts which is a must ingredient for any sweet item. We were reasoning out as the cost factor, often they cannot make it but even without cashews, the prasad will be very tasty. Regarding dhuni pooja, I took it as Baba's direction and booked the same immediately for another day. I prayed to baba to make me attend the dhuni pooja successfully without any hitch and bless our family. On the previous evening of the dhuni pooja day, i purchased all the items that can be offered in dhuni fire after getting clarification from the priest of temple (like turmeric and kumkum powders, nava dhaanya seeds, coconut, samith (small fire-wood sticks used for homa/yagna), pure ghee, pure sandal-wooden sticks, sugar cubes, loban/sambrani powder, different kinds of fruits, tulsi garland, flowers) all to offer in agni. It was around 9pm and i was searching for an auto to return home with all these things. One auto came LO! beautiful baba sticker with words Om Sai Ram on it. By this Baba gave his blessings in advance for dhuni pooja. When i came home, there was heated arguments going on for some issue. This is common in any home, if our time is not good we will find ourselves in dismay with war of words even for small issues beyond our control. My mother was totally upset due to the arguments and adding to it, she is short-tempered person too. Our family circumstances were not quite smooth to our expectations for the past many years. So when she saw me with all these items for dhuni pooja, she lost her cool and was shouting at me continuously. She was also criticising baba for not looking at our problems. She took all kinds of baba's roop items in our shrine, put them in a cover and kept it in my room saying, she does not need HIM anymore. She was all in rage when doing these. I have experienced, even felt baba's anger before, due to my misunderstanding of His action. He pardoned me through his kind gestures. But i could not control my mother's anger. Baba's place in our pooja room was vacuum and looked unfortunate to see Himself re-located? I was totally upset, lost hope of attending dhuni pooja especially for the welfare of our family. I was afraid of Baba's anger too but i could see my mother's rage was resembling baba's rage. 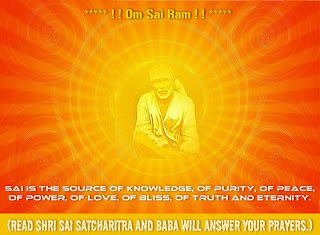 To know Sai's answer, i prayed and randomly opened a page in one of the sacred books on Baba. His answer was very clear and a blessed one :). The lines i read were, how Baba used to hurl abuses on his devotees when starting something new to remove bad effects and that was considered a blessing in disguise by his devotees. Still i was not at peace to have all the baba roop items in a cover with me. Whole night i did not sleep and was worried. To my peace and comfort, early morning she asked those items to keep in the shrine back. She took them all carefully and Sai came to us with his usual smile and blessings. I felt better and thanked baba heartily for this gesture. I started for the dhuni pooja and she gave me a warm send off. It was as peaceful as never before and i attended the dhuni pooja on time. I did Sankalpa on behalf of all my family members and offered the items in dhuni. I was happy to get prasad. I moved on to give my prayers to the main Baba moorthi in the temple. Then I went in the queue to collect the regular prasad. I was standing 3rd in the queue. The volunteer came and removed the lid of the big vessel having that day's prasad. I prayed to Baba that even for fun, i do not want His raging acts as it takes time to understand His ways and we miss Him at that moment. I thanked baba again for the cashew nuts, his blessings on the dhuni pooja day and returned home with a sigh of relief. Thanks for sharing. Bow to Shri Sai, Peace be to all. I would like to share this story with all of you. Though it is just a simple one but I believe you can see how our Baba lives with us. 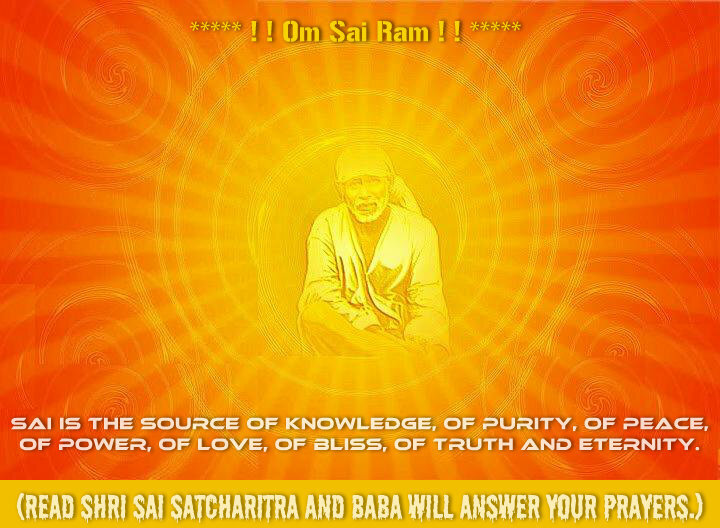 I love to go to a site http://www.yoursaibaba.com you just need to think of Baba, tell him your problems and whatever number which appears in your thought (should be within 1-720) just type it in the box, enter and you will get a solution from Baba. Ok well some will say that it is so childish to do so.But trust me if you do it with faith you will see the answer suits your problem.I do feel as if I am talking to our Baba. Though I am happy also I will use that numbers to talk to him. One day I entered a number.It says"YOU WILL GET A PHOTO OF YOUR FAVOURITE GOD. WORSHIP THAT PHOTO AT HOME. ALL YOUR PROBLEMS WILL BE SOLVED. SUCCESS IS YOURS." I really didn't believe that will happen ;-) Do you know why?? ?Because I always buy Baba's photo so that I can give to others.So me getting a photo of God is quite rare.By the way I was waiting for that photo for more than a month.I did't get any and i forgot about it. One night I went out with my parents to do some shopping.My brother went to Perumal temple nearby. He went on his own. It was during Ayappa swami prayer period. But take note my brother went to Perumal temple. When I came back home, all of a sudden he came to me and handed over to me a photo which is estimately my palm size.I was a bit blurr.He don't usually do that.I took it and you know it was our Baba's picture ;-)My brother went to perumal temple, gave donation for ayappan swami but he got Baba's picture. What would you all say for that ;-) ??? My brother was mumbling something.He said to me. "There was an old man in the temple. I called him since he was holding a donation box for Ayappan swami in India (For your info I am from Malaysia). My brother said he put only some coins ( I wondered why my brother did't give him dollars ;-)). Then that old man took out that Baba's photo from his bag and gave it to my brother.Then that old man asked my brother direction to go to another place.I wonder the person should be able to go to the place he came from.Note here please there is no good facilities for public transport nearby. Furthermore it was late night. I did wonder why my brother must give that photo to me.Don't you think he should keep it for himself??? He didn't give to our mother or father,straight to me.He gave me that photo as if its GOLD . WHO IS THAT OLD MAN???? AN OLD MAN WITH DAKSHINA BOX??? ?HE MUST BE BABA ;-) At last I got the photo to worship as Baba told me earlier. Om sai ram. You are doing excellent work. I am from Mumbai. Don’t disclose my name and e-mail id. I want to share my experience with Baba. Kindly post this on your site. Kindly make necessary changes if required. Please forgive me baba ji, if I do any mistake in writing my experience. I never thought of sharing this experience on site. But yesterday suddenly my mind asked me to share this experience on this site. I am narrating my experince here. I visited shirdi first time in 1998. Since then I visited shirdi every year once. But I did not know much about Baba. And it was just tour for me. But I came close to baba in May 2010 and since then Baba is everything for me. I visited shirdi 10 times since May 2010. My last visit was in July 2011. And during my last visit I had darshan of Baba in physical form. Since long I was asking baba to give me darshan. But I never thought that baba will give me darshan in physical form. It was Saturday, after having darshan in Samadhi mandir. My wife asked me to go Sai Parayan Hall. It was my first visit in parayan hall. As soon as I and my wife entered in parayan room, Baba came behind us and He sat beside parayan hall door. I don’t know what happened to me but I turned behind and gave HIM namaskar with folded hands. 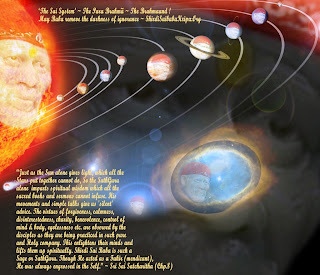 Baba was wearing kafni, pajama and cloth on his head, and kept a jola in his right hand. Then I had baba’s portrait darshan in parayan hall. When I turned from there, Baba called me with one figure pointing. I went to him and he took out one neem’s leaf from his kafni and gave to me. He asked me to keep this neem’s leaf in my house poojan Mandir. Then he gave udi packet and neem’s leaf to my my wife also. Baba’s eyes were so power full. Tears started flowing from my eyes. I told baba that I am seeing Baba in you. Baba told me that" tumara gala bhar ayaa hai"(Your throat is choking with emotion). Baba asked to me to come beside him. Baba was constantly doing naam jaap with mala in his hand. When I got up from there, I saw baba sitting in different position. The way baba used to sit in dwarkamai masjid. Baba was sitting in that position. I was shocked to see that. Then I came out of parayan hall and baba also came behind me and he went from there. I don’t know where he went. That day I was so much tired and my eyes and body was paining a lot but after baba’s darshan,all pain went away and I was feeling refreshed. I never thought that baba will come to me in physical form. I have kept that neem’s leaf in my pooja mandir. Baba is always with us. Only we have to keep shradha and saburi. Sri Sai Ram blessed me with a child.I didn't have baby for nearly 6 month. At that time I asked for baby to merciful Baba. I fully devoted myself and thought about baby being blessed by Baba. So one day I wrote two option in separate paper(chit) like 'yes' or 'no' Baba will you bless me babay this month. After that i picked up one paper kept infront of Baba and i read it. I had the answer 'yes'. So I became very happy and also my trust on Baba grew many fold. But I didn't conceive that month. But after 1 month I got good news and was blessed with good news that I am pregnant. Before conceiving I had 2 dreams .I saw there are 2 elephants that means one small and another one is big. And another dream I saw Ganesh pooja.This is Baba's blessing.Sai is great and His words are always powerful and true. I wish to know from first experience the devotee has mentioned about dhuni pooja. Can i know more about it and where is it performed? it is lovely to read so many things in this website. Baba you are great . Dear Nandini... In most of the sai temple they perform... Dhuni pooja. In chennai mylapore saibaba temple they perform dhuni puja on every sat.. Sun and tuesday. U can pre register for the same in the temple. Dhuni pooja is very sacred and very dear to Baba.Anyone who does it will have baba's blessing.Thank u sai devotee for sharing your experience with all of us.